Geologists have identified what they say is a new class of rock. 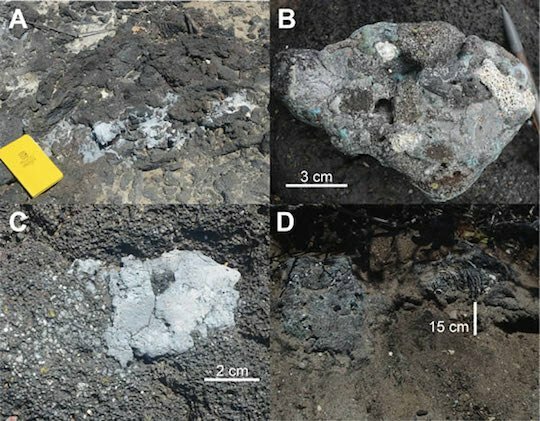 About a fifth of plastiglomerates consist of “fishing-related debris” such as “netting, ropes, nylon fishing line, as well as remnants of oyster spacer tubes”. “Confetti”, the “embrittled remains of intact products, such as containers” is also very prevalent, but whole containers and lids are also found in plastiglomerates.